Three buttercups ?!. I used adobe photoshop to change the powerpuffs into three blossomes. 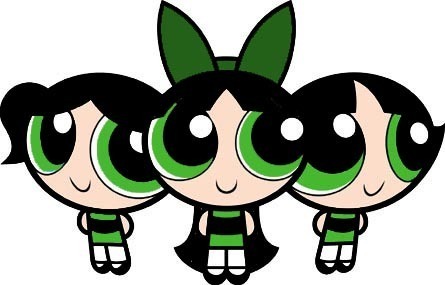 Wallpaper and background images in the as meninas superpoderosas club tagged: buttercup powerpuff girls powerpuff. This as meninas superpoderosas photo might contain anime, banda desenhada, manga, desenhos animados, mangá, and quadrinhos.